MMU: None in EC030s, Internal in full 030s. An accelerator which plugs into the trapdoor slot of an A1200. The 40Mhz EC030 and 68882 are overclocked 33Mhz components. 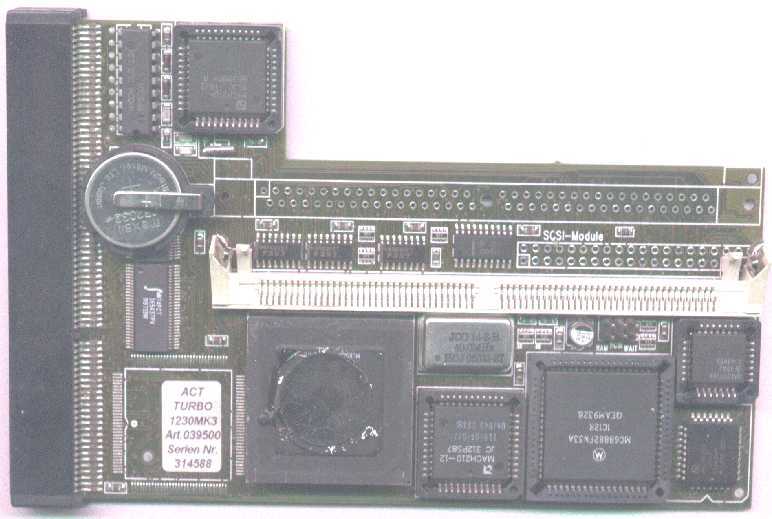 The card has an optional SCSI-II controller available for it, a battery backed up clock and is fully PCMCIA compatible. 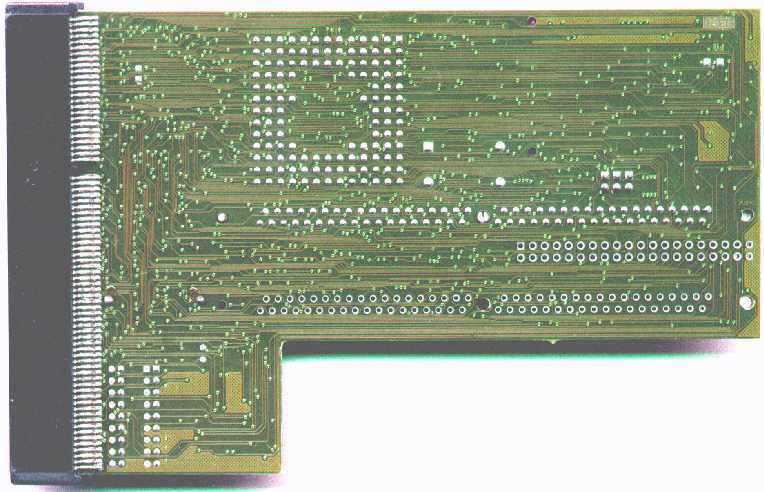 The card contains a jumper for 60ns mode memory. An additional SIMM socket could be fitted by the dealer, or the end user if they were competent enough.